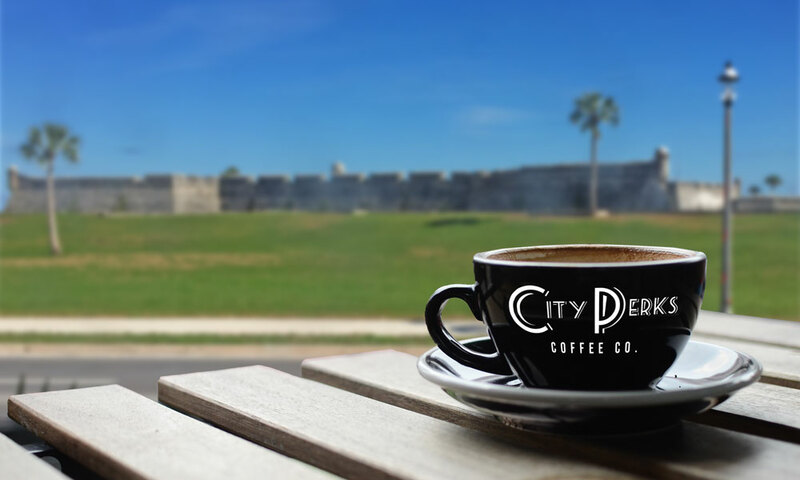 City Perks Coffee Co. is located in historic downtown St. Augustine across the street from the Castillo de San Marcos. This charming little coffee shop offers specialty and gourmet coffees served hot and fresh. If you're in the mood for a coffee, regular specialties grace the menu like Americano, latte, cappuccino, and nitro cold brews. If coffee isn't your favorite, there are loose leaf teas, local beer and Florida wine. For kids, there is hot chocolates. And for when instead of a caffeine high you're craving something to relax with, they have craft beer and wine. The shop has seating at an indoor cafe bar, at high top tables with stools, and benches out front with a view of the fort. Mugs and other coffee gifts make suitable gifts for the coffee-lover in your life. Shirts on display give you the chance to proudly boast that you support local coffee. 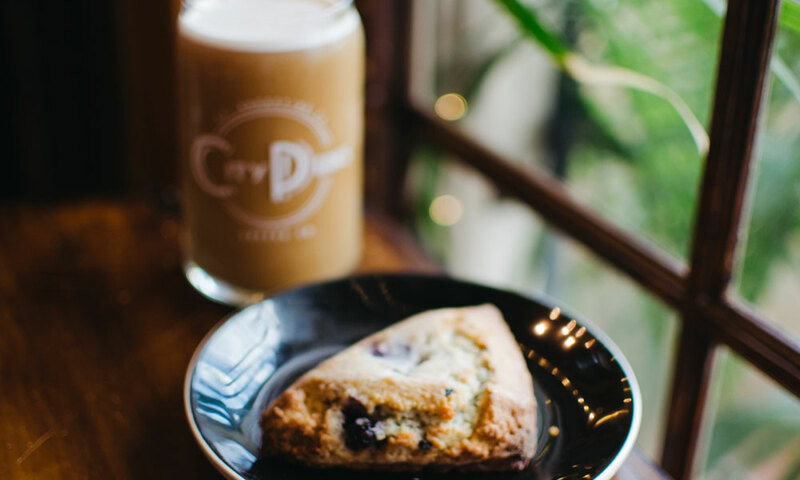 The coffee shop also serves select pastries including their delicious croissants, assorted bagels and muffins and scones, and cookies. Their counter has sweet oatmeal cookies, chocolate muffins, and other baked goods for you to choose from. They make a great accompaniment for a coffee or a sweet treat to share over a craft beer. When you have your drink, you can perfect it to your tastes with milk, creamer, sugar syrup, and honey available at two condiment stations. Once you find a place to sit, WiFi lets you work remotely, or you can take a photo and tag their Instagram account. City Perks is located off the north end of St. George Street near the courtyard next to the St. George Inn. Be the first to Review City Perks Coffee!